Amazon Prime Day is here. Is a membership really worth the cost? Subscriptions in Canada cost $79 annually. Do the benefits outweigh the cost? For avid online shoppers, Amazon can seem like heaven on Earth. At the click of a button, you can find almost any item that comes to mind and have it delivered to your doorstep — and quickly. This level of convenience and affordability is what transformed the website from an online bookstore to an untouchable e-commerce giant. To keep up with the demand and public interest, the company launched Amazon Prime in 2005. This popular subscription service, which reached Canada in 2013, offers more than 100 million customers access to free two-day shipping (in some areas it’s one-day shipping), video and music streaming, and early and sometimes exclusive sales, along with other perks. Here’s the catch, though: Amazon Prime is pricey. Subscriptions in Canada cost $79 annually. In August 2018 the company also debuted a monthly plan at $7.99, which works out to $95.88 per year and can be cancelled anytime. Depending on your own shopping habits and interests, you may or may not find a Prime membership worthwhile, so before you make a decision, learn more about what you’d be signing up for. The main factor that initially made Prime popular is its convenient free two-day shipping. If you happen to live in Vancouver, Edmonton, Calgary, Ottawa, Toronto and Montreal, the service might be more appealing, since you’re often able to upgrade to one-day shipping at no extra charge. You may have expensive books, final exams and student loans to worry about, but if you’re a college or university student, you can join Prime Student and receive trial free two-day shipping at no cost for six months, and then upgrade to a Prime membership for 50 percent off. Another selling feature is Prime’s music and video streaming services, which give you access to a selection of movies, along with Amazon-produced shows like The Marvelous Mrs. Maisel and Transparent and TV classics like Downton Abbey, Curb Your Enthusiasm and The Wire. Prime Photos, founded in 2014, offers users unlimited photo storage in their Amazon Drive. Prime members often have access to online sales, member-exclusive discounts, and priority during product releases. 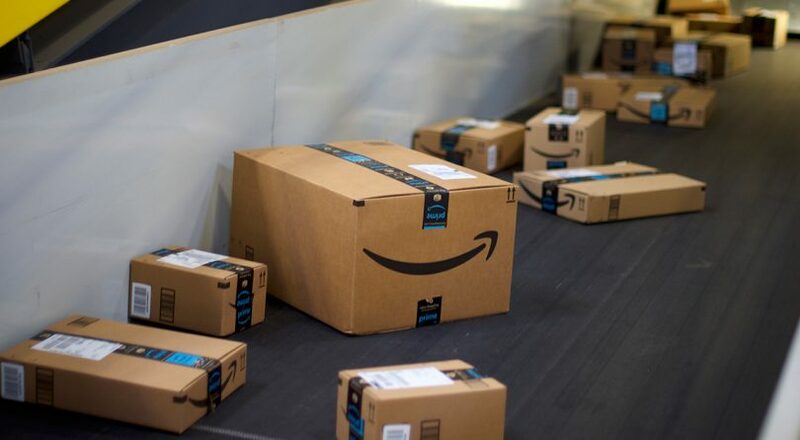 A big annual sale members take advantage of is Prime Day, which will take place on July 16 this year. The day offers sales on a wide range of products — often at a very steep discount — and is exclusive to Prime members. When it comes to its movie, TV and music options, Amazon’s Canadian streaming service pales in comparison to bigger competitors like Netflix and Spotify. Canadian Prime members currently have access to far fewer movies, TV shows and music options. American Prime members benefit from Amazon’s ownership of Whole Foods — for example, by earning 5 percent back with the Prime Rewards Visa Card and free two-hour delivery. An Amazon spokesperson told Chatelaine there are no current plans for that partnership to expand to Canada. However, on Prime Day this year, Canadian members will be able to save 30 percent on Everyday Value products at Whole Foods and will receive $10 off in-store purchases over $50 throughout Prime Week. At $79 a year, a Prime membership doesn’t offer very good value if you don’t end up ordering that much. And remember that Amazon.ca’s threshold for free shipping in Canada is only $35, so most customers won’t need to pay for shipping if they’re fine with standard delivery. However the launch of the $7.99 per month option does mean customers could sign up to get free same-day shipping and binge watch shows on Prime for a month and then cancel. But remember to actually cancel or you’ll end up paying even more in the end. So is Amazon Prime worth it? Ultimately, whether or not a Prime membership is worthwhile for you depends on your shopping habits. Say you’ve run out of batteries and you’re the type of person who doesn’t mind waiting a few more days or weeks until you have enough items in your shopping cart to qualify for free shipping. In that case, the Prime two-day shipping deal won’t be that impressive. But if you absolutely need to receive those batteries in two days — or sometimes as quick as the same day, depending on where you live — the service might be right for you. And if you take advantage of the member-exclusive sales, it could be a particularly smart buy. This post has been updated with no information.